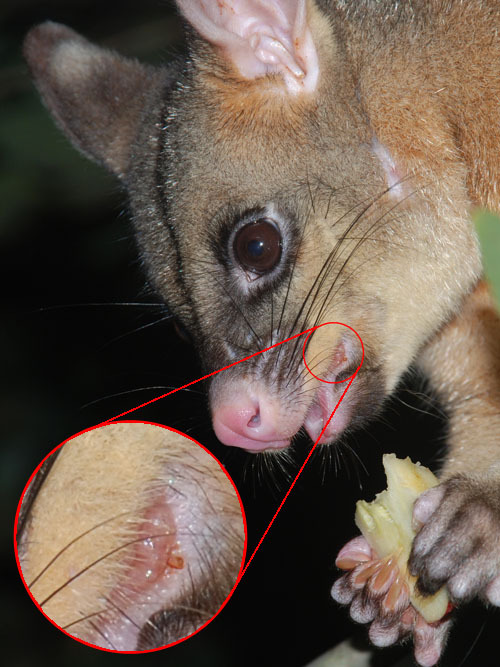 While the pythons were about, the possums made themselves scarce. On a couple of nights, only Kiki, the fiercest of our possums, was brave enough to visit. At one stage, Grendel hid in the gutter over the possum feeding area, presumably also looking for a feed, but was out of luck because the possums kept away. The last couple of days have been comparatively cold (by Queensland standards) and the snakes have not been seen at all during this time. Maybe the temperature has made them more sluggish or maybe they've gone away to find a warmer place. Pinot has been gradually getting over his shyness. Wasabi was seen briefly tonight, but wasn't game to approach the house. 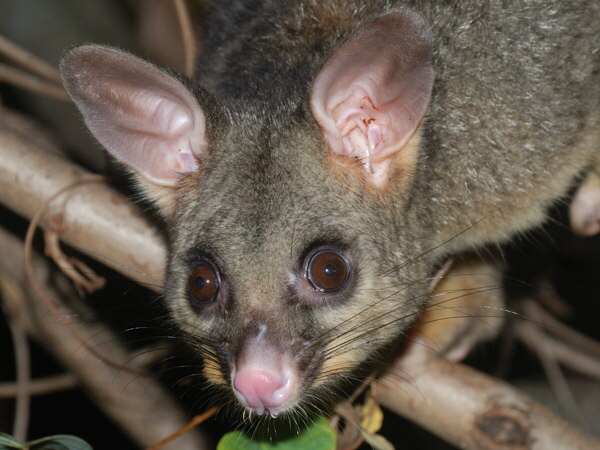 He is the smallest of the possums and the most at risk from pythons, so it's understandable that he's still being cautious. Marlon's course of treatment finished about a week ago. There was still a tiny bit of scab left at that time. This hasn't got better or worse since then and we're keeping an eye on it. Flea visited again last night. It seems that she hasn't been driven away by Kiki yet.